Morris Bellamy, a big fan of the novelist John Rothstein, is so disappointed by the fate of his favourite hero that he kills the old author and buries his unpublished material. Young Peter Saubers discovers it years later in an old trunk buried under a tree. Envie de lire en anglais ? Dorénavant, c'est possible grâce à Harrap's. 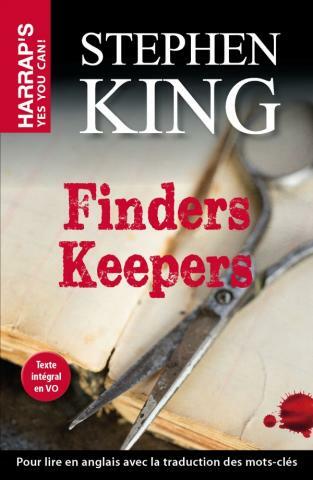 Découvrez ce thriller de Stephen King, en VO et en version intégrale, avec des traductions en marge pour vous aider à bien comprendre le texte. Emotions garanties ! Avec Harrap's, Yes you can !